OK, It’s really not like that…I just build what I am told. You can download the model if you like from the 3D Warehouse via my Sketchup page. 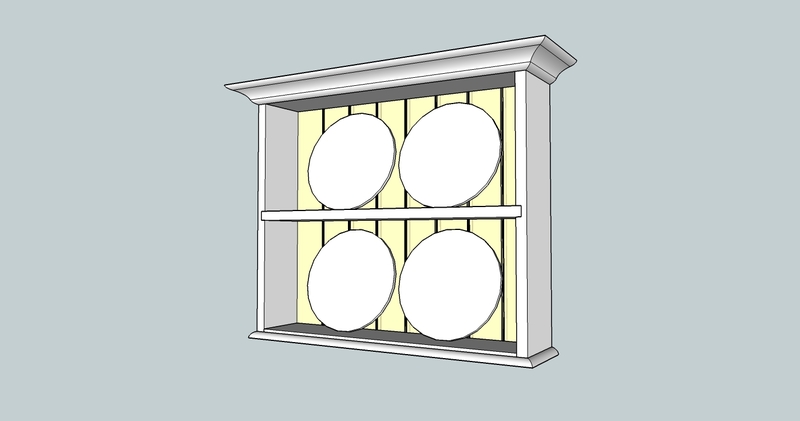 The project will feature the following construction: half blind dovetails for the sides, top, and bottom; beaded tongue and groove back; base and cove moulding. Everything will be constructed out of hard white maple. This entry was posted in furniture, hand tools, plate rack, VCF, woodworking and tagged dovetails, furniture, hand tools, hard maple, woodworking by villagecustomfurniture. Bookmark the permalink.